The last day of recorded rainfall in the Palm Desert area was Dec 20th, the day we left TT Wilderness Lakes near Hemet, CA. Since then we have enjoyed sunny skies and warm to even hot temperatures with daytime highs of 70-90F and night time lows ranging from 35-55F. Today is no exception with a forecasted high of 77F and a low of 42F. Clear blue skies, maybe a few wispy clouds or a breeze, simply gorgeous weather. There is a chance of rain in the forecast for Monday though. We’ve been busy with our new fitness program too. Generally speaking, we begin our day with a 3 mile walk or run around the roads inside the park here at TT Palm Springs…. about 50 minutes or so. Following a light breakfast we both play pickleball for 2-3 hours either here in the park or at any of the many local venues. Today we played across the other side of I-10 at Freedom Park off Country Club Drive. We generally get back in time for some water volleyball at noon but we’ve also been meeting some of the better pickleball players for afternoon games at 2 pm here in the park. Many of them are practicing for various tournaments occurring in the next few weeks and the afternoon games give them a chance to play as teams. By the time mid or late afternoon rolls around we are both glad to relax in the shade here at Phaeton Place. Often times an afternoon nap is even in order. After a bit of supper, we catch some of our favorite TV shows on satellite before finishing our day with another walk around the campground before bedtime. Ah, the travesty of retired life…………it sure is a tough go. Chris’s daughter had minor surgery in Edmonton and will be laid up for about 10 days while recovering at home, so Chris has volunteered to jump on a plane tomorrow afternoon to help out during Sarah’s recovery. I’ll just have to stick it out here in southern California on my own for a few days. I’ve been going through some old photos trying to purge some to make room for more photos on my external hard drive and came across these gems from our time in Florida in early 2009. Enjoy! This entry was posted in Alberta, California, Entertainment, Photography, Photoshop, Thousand Trails, Wildlife. 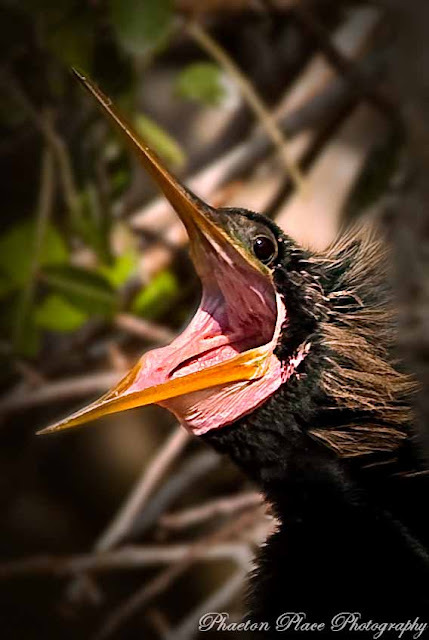 Really great birds and gators…and would ya look at the mouth on that last one!!! 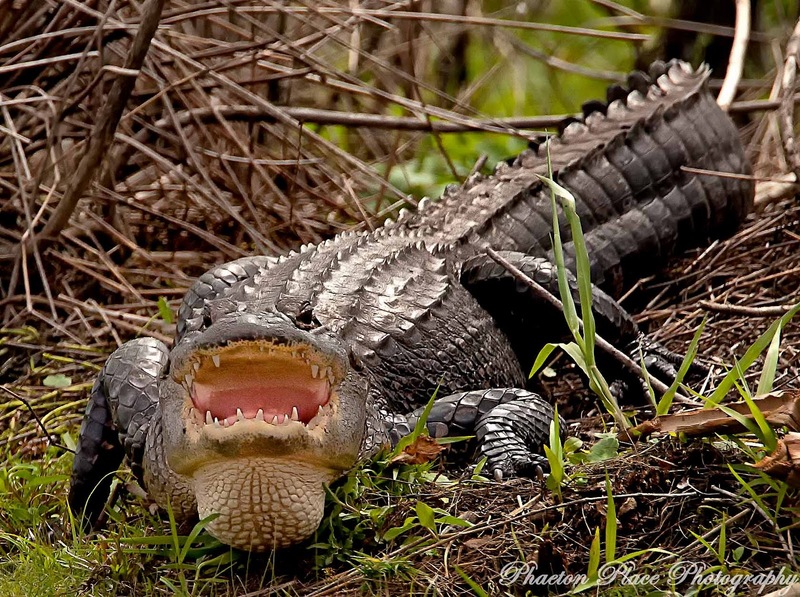 Great shots; the alligator looks like it's ready to take a chunk out of something … or someone. 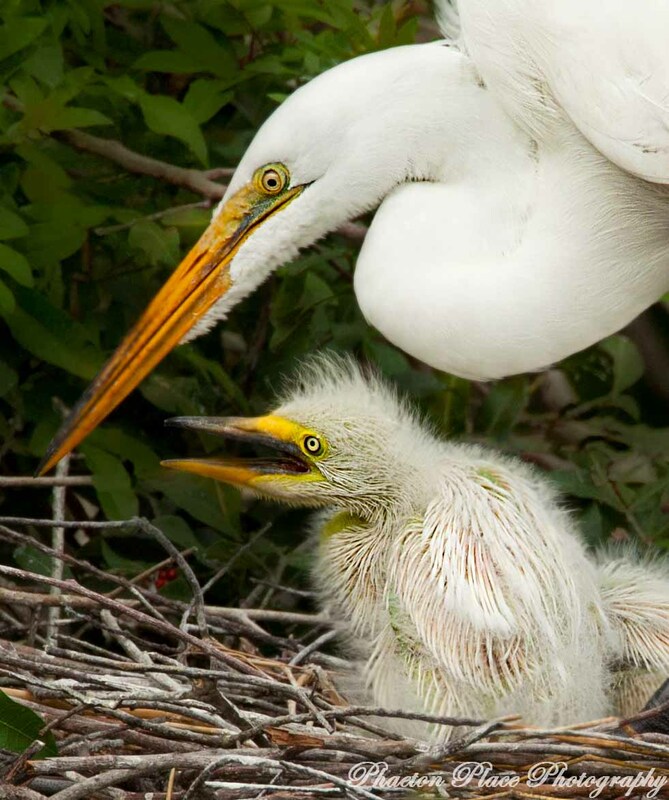 The egret with the chick is precious. Love both bird shots! 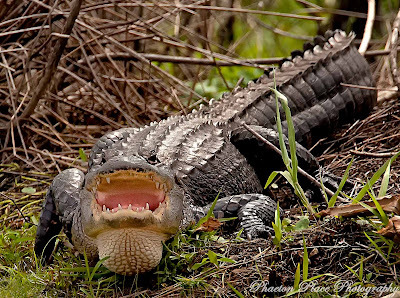 The alligator one is good, too, but I don't like gators so I can't bring myself to stare at it for too long. Enjoy the remaining on-your-own days! great bird shots!..enjoy your time alone!..hope Chris has a safe trip to Edmonton..that will be quite the weather shock! !